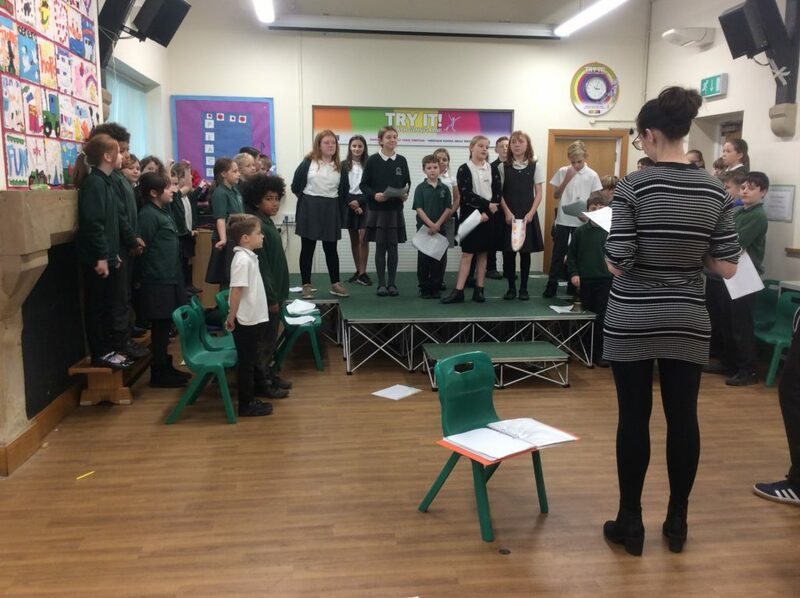 Rehearsals for the Christmas performances are now in full swing! Tickets go on sale Monday. Tuesday 11th December – Infant performance starts 1.30pm Juniors at 2pm. Wednesday 12th December – Infant performance starts 6pm Juniors at 6.30pm . Tickets will be on sale Monday at a cost of £2 for Infant only or Junior only performances. (£3 for the whole event if you have children in both Infant and Junior performances.) You can split your two places and have them on different dates if you wish. Guests who only want to watch the Infant performance will have their seat taken by someone who has children in the Junior classes. This will enable us to reallocate seats if people are leaving, thus giving the children a full audience! Due to the limited space available in the school hall, initially only two people per family will be able to have tickets, due to Health and Safety regulations we can only seat 60 people. Any extra tickets will then be allocated on a first come/first served basis after all families have been allocated tickets. All money raised will go towards the costumes and props. Any money left over will go towards the Christmas party. This sounds very complicated, but it does work. Please be patient with us, the children have worked very hard and we want a full house for both performances, and we will do our best to accommodate everyone, but realistically there isn’t enough room for everyone’s extended family. Thank you for your understanding.